## of "Bandit algorithms for website optimization"
## by John Miles White. # The code from the book chooses the arm with the first index when all arms are equal. # Contextuals policies correctly picks one of the max arms. # That's why the plots below are slightly different from the book - they are correct, though. # Figure 4-2. How often does the epsilon greedy algorithm select the best arm? 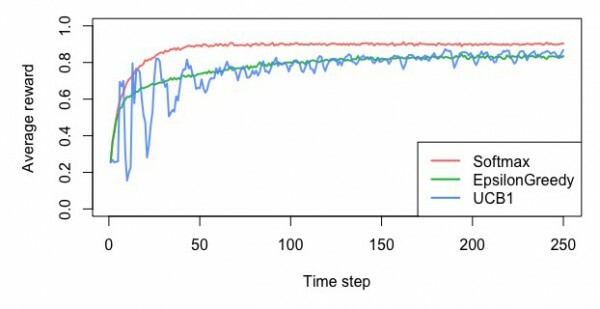 # Figure 4-3. 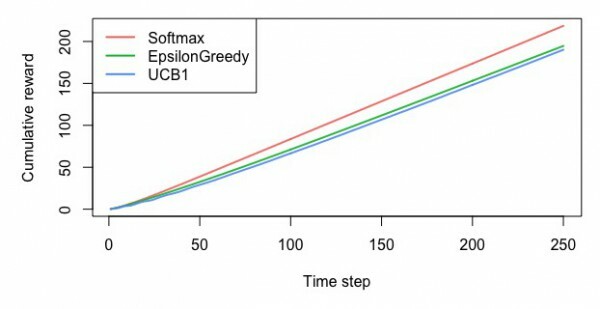 How much reward does the epsilon greedy algorithm earn on average? 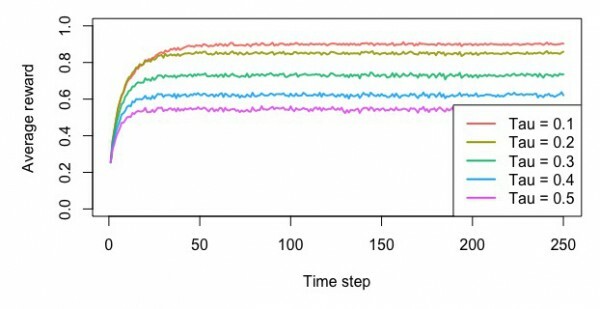 # Figure 4-4. 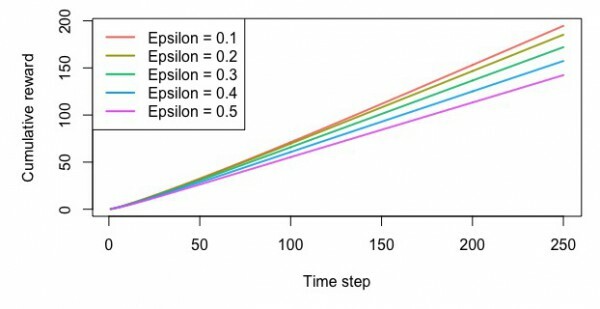 How much reward has the epsilon greedy algorithm earned by trial t? 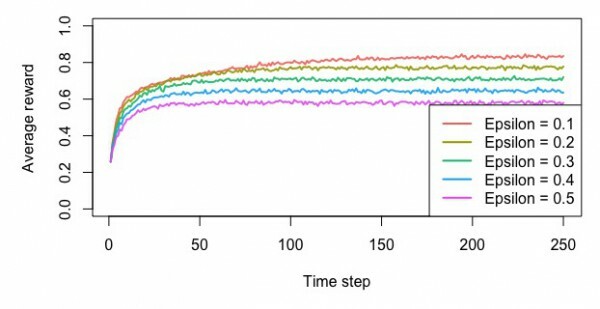 # Figure 5-2. 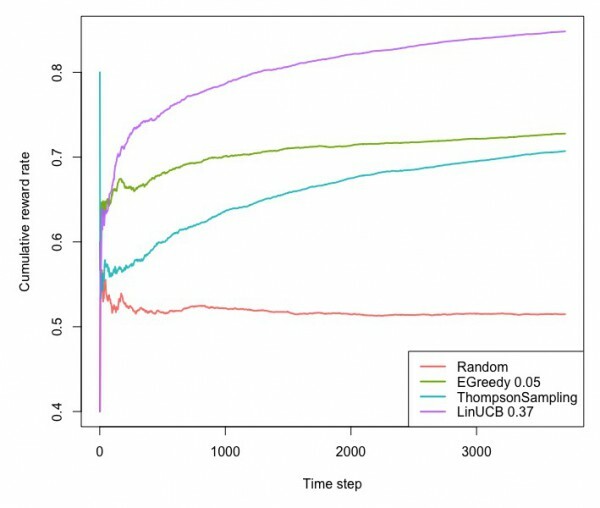 How often does the softmax algorithm select the best arm? 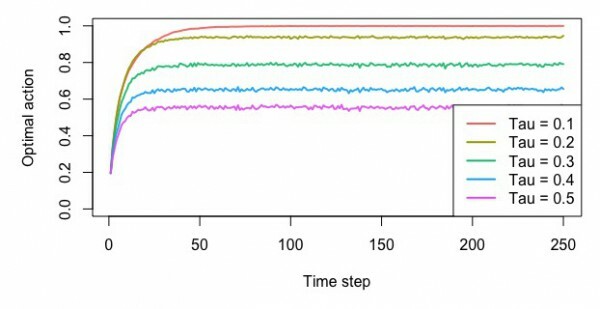 # Figure 5-3. 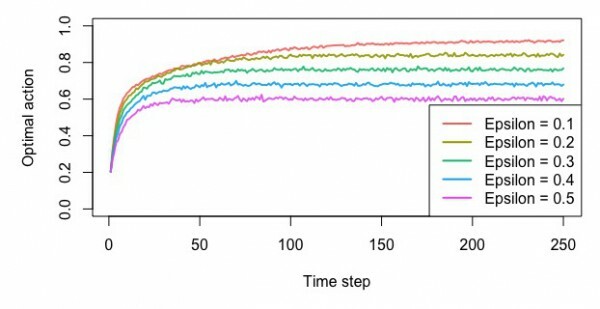 How much reward does the softmax algorithm earn on average? 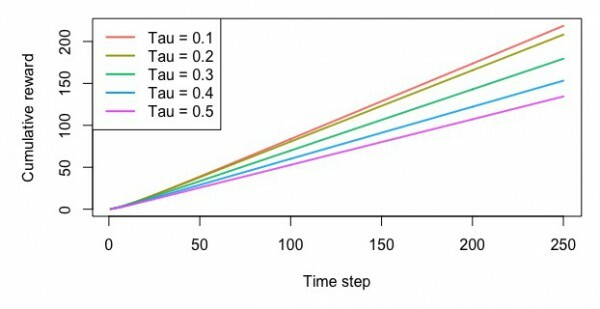 # Figure 5-4. 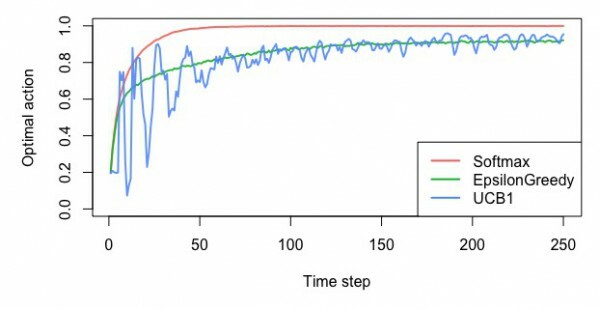 How much reward has the softmax algorithm earned by trial t? # Figure 6-3. How often does the UCB algorithm select the best arm? # Figure 6-4. 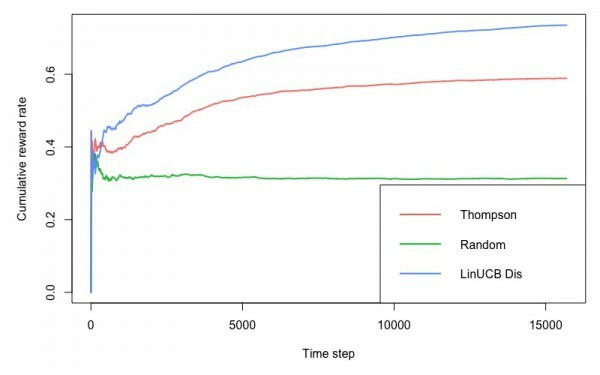 How much reward does the UCB algorithm earn on average? # Figure 6-5. How much reward has the UCB algorithm earned by trial t? # Takes about 5 minutes: bootstrapbandit loops for arms x horizon x simulations (times nr of agents).